A sketchbook is always been a part of an artist’s artillery. It is where early concepts of big creative ideas are born. Whether it is a logo design concept, a typography project, character design or concept art, sketchbooks and sketch pads are always part of the creative process. Which among the pages is your most favorite? 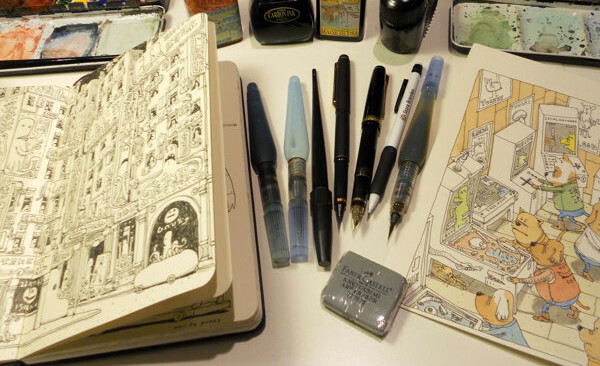 See more of Mattias Adolfsson’s artworks on Behance portfolio or get more updates on his blog.